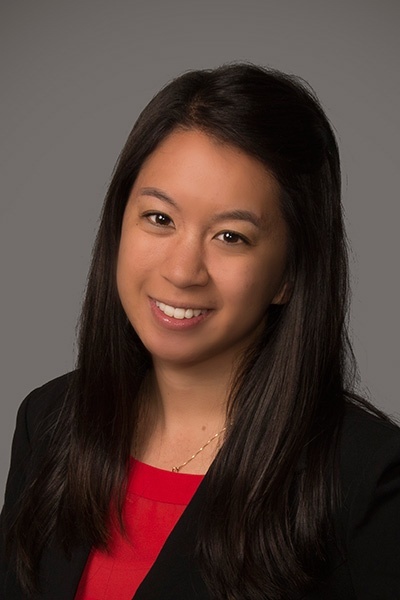 Dr. Catherine M. Dee is originally from Southern California, but moved to the Phoenix area at the age of 11 and has been in Arizona ever since. The beach, food, and friends of her home state still draw her, and thus she tries to visit the area whenever she can. However, she has come to really appreciate the hidden gems and overall natural beauty Arizona has to offer and now calls it her true home. Catherine is an alumna of Arizona State University, graduating with a Bachelor’s degree in Life Science in 2012. She went on to receive her Doctor of Optometry degree from Midwestern University Arizona College of Optometry in 2016. During the course of her graduate education, she received the Western Interstate Commission for Higher Education Scholarship, and was inducted into the optometric honor society, Beta Sigma Kappa. She was an active member and officer of the Student Volunteer Optometric Services to Humanity (SVOSH) club on campus and was able to volunteer locally and in Mexico by providing eye exams in underprivileged areas. Most recently, she completed an optometry residency program in ocular disease and low vision from the Southern Arizona VA Healthcare System in Tucson, Arizona in June of 2017 and hopes to continue her career emphasizing in either of those two areas. She is a member of several optometric organizations including the American Optometric Association, Arizona Optometric Association, American Academy of Optometry, and VOSH Arizona. Catherine joined Horizon Eye Specialists & Lasik Center in 2017. When she is not seeing patients, she enjoys spending time with family and friends, country swing dancing, trying new foods, traveling, and spending as much time as she can outdoors doing things like hiking, cliff jumping, camping, and kayaking.